Are you a huge fan of the Fender Telecaster Guitar, looking for more information? Well, we have answers to five of your most written and asked about topics. Telecaster FAQ 1 – Which Fender Telecaster is the best? Can I Split a Humbucker With a Three-Way Switch? If I have a humbucker in the bridge position of my Telecaster, can one of the coils be turned off with the three-way switch? The reason is that we do not use “both coils” in the humbucker. We actually run one coil into the next coil, and it might be better to look at a humbucker as a Single Figure 8 Coil instead of two separate Single Coils. We can “split” the humbucker by running a (switchable) wire to Ground right where the one coil meets the other coil. This actually “shorts out” the second coil; it doesn’t shut it off. So, in order to split the pickup we need a path to Ground. The three-way switch in a Telecaster is a “Hot Wire” that selects which of the Hot pickup leads to send to the Volume pot. There is no ground connection available and adding one will short out the entire guitar. Without a ground we cannot split the pickup. Let’s take a look at re-wiring a three-way switch for a standard Fender Telecaster guitar. If you have already tried out our Volume and Tone wiring guides, this would be a great next step. The information in this article will apply to any similar three-way “Lever” switches that are used in many different Strat style guitars. The Gibson Les Paul and several other similar guitars use a three-way “Toggle” switch and that discussion will be in a different article. Since the title of this article refers to Telecaster three-way switch wiring, I am going to use all of the standard Fender Telecaster values in the diagram. Rock Telecaster Bridge Pickups- Which Ones are Best? Here are some great replacement bridge pickups that have been designed for playing Rock with a Fender Telecaster. The Fender Telecaster is actually a great guitar for Rock. The twangy sound fattens up nicely when run through some overdrive or a fuzz pedal. 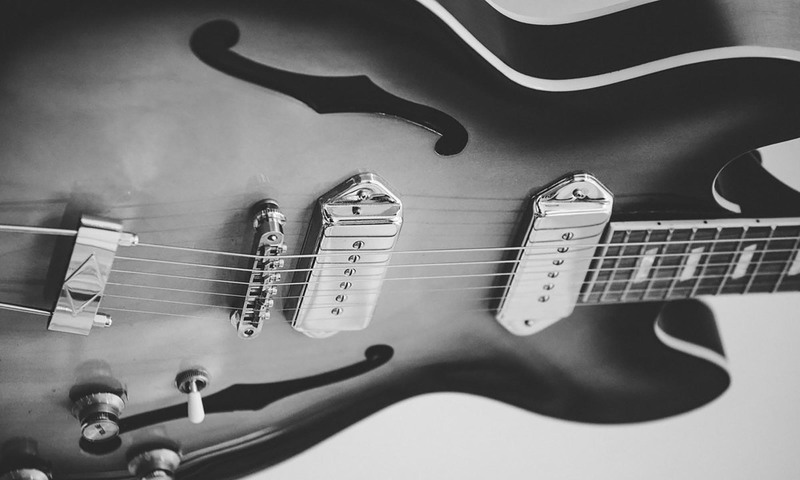 Even though many people consider the Telecaster to be a country guitar many great Rock players, including Jeff Beck, Mike Campbell, John 5, Richie Kotzen, Alex Lifeson, Jimmy Page, Keith Richards, and Bruce Springsteen often use a Tele. One way that you might be able to help your Telecaster deliver a more Rock tone is to change the pickups. So, with that in mind, let’s talk about some of the best Rock Telecaster bridge pickups around. The ones that we’ve listed here are of very high quality, and they were designed for Rock and for the great gain that they produce. So that means that we’ll be looking at humbucker pickups, which will allow us to run through overdrive or fuzz while keeping inherent noise to a minimum. We’ll be looking at pickups that fit into the bridge position of a Tele without having to modify the guitar, taking into account the slanted nature of its bridge pickup. So, if you’re looking to get a heavier rock sound, this list of the best Rock Telecaster bridge pickups should help you narrow down your choices. What Are the Best Telecaster Modifications? So you have a stock Telecaster; now what? There are several modifications you can make that will transform your Tele. Judging by the number of articles related to the Fender Telecaster in this site, anyone can guess that I am a big fan of this guitar. In some ways, the Telecaster is for me, the perfect guitar; it looks right, it feels right, and it sounds right. But out of the box, this guitar might not be equipped for exactly what you had in mind and you may want to consider a few Telecaster modifications. For example, some want more muscle in the bridge pickup, some want more beef in the neck pickup, some want a speedier neck, some want… well, you get the picture. Fortunately, most Telecaster modifications are fairly painless. You can take the modifications to various levels and in some cases, you might want to enlist the help of a qualified guitar technician. So, that said, just use your best judgment.